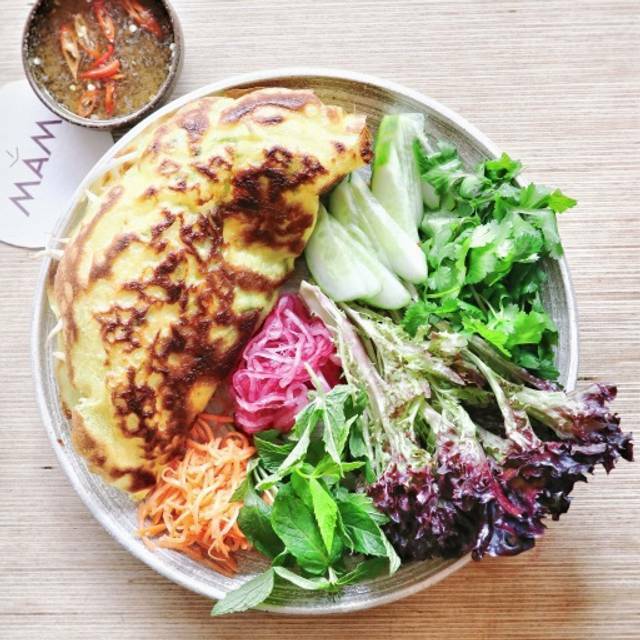 Welcome to MAM, new Vietnamese Barbecue Restaurant in Notting Hill. 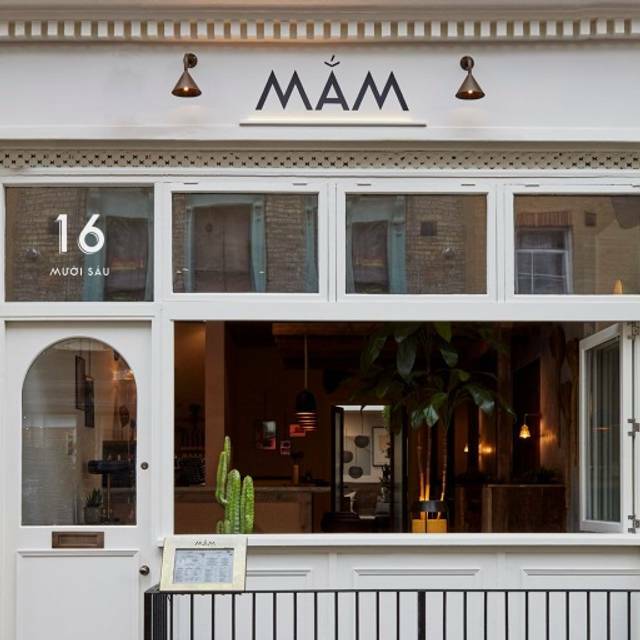 MAM is the new restaurant from the team behind cult East London restaurant Salvation in Noodles. 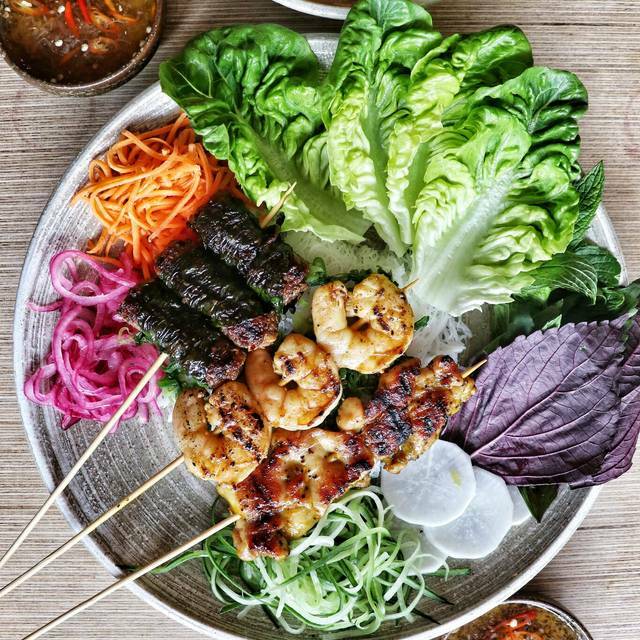 Inspired by the barbecue street food stalls found all over Vietnam it brings light, fresh flavours and specially curated cocktails to leafy All Saints Road. Pronounced ‘mum’ and referring to the art of fermentation, the menu focuses on skewered meat cooked on a robata grill. The skewers predominantly feature cuts of chicken, but the kitchen also showcases weekly specials such as rare-breed beef and seafood. 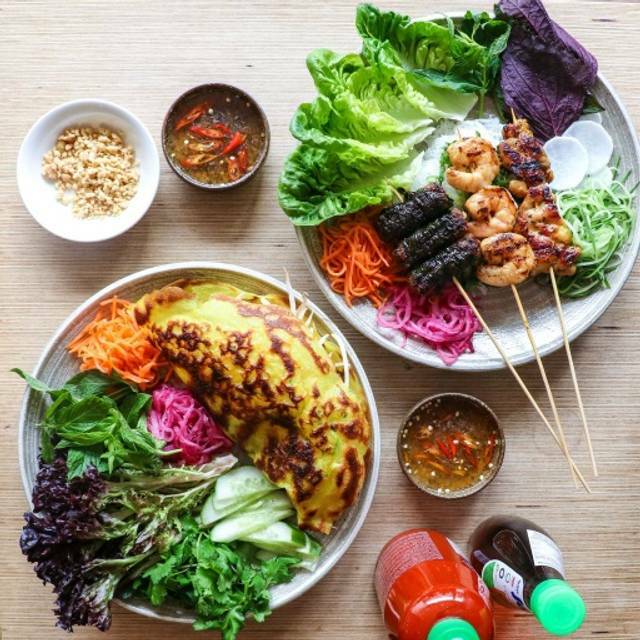 Served sharing style with rice noodle parcels, chopped veg, colourful pickles, an abundance of fresh Vietnamese herbs, lettuce leaves and rice paper wrappers, diners are encouraged to choose their own way of eating them. The light, airy 40-cover restaurant, divided between a bar area at the front and dining room conservatory at the back, also offers a refined cocktail menu. Overall quite nice spoilt, spoilt by the bill landing on the table before we had finished the meal. The banh hoi was absolutely outstanding!! We paired with 2 kinds of beef and the pork shoulder, mmmm too good. Only disappointed with the pho bo, too much lemongrass, over powering the whole bowl. What was good: the food is tasty and the restaurant is well laid out. The atmosphere is good and even when it is busy it doesn’t get too loud to hear each other. What is bad: the menu is a little confusing and you don’t really get much help trying to understand it. The service is so slow, it’s wasn’t very busy and yet everything took an age and we had to ask many times for someone to take our order or for things we had ordered to be brought. For 2 people it is probably a good place to go, the food is tasty when you work out how to order some. For anything more than 2 it’s not great. The food was good but a little more expensive than what I felt it was worth. The table had trees in the middle of the table that disrupted our conversation and made it very awkward. The service was poor and they forgot one of the orders. And being near the door was annoying with people coming in and leaving the door open letting a cold draft in. This meant we had to constantly get up and close it. I would go again but insist on a different table. They had run out of the skewers barely an hour into service and the staff working seemed pretty miserable, also the restaurant was cold and didn’t feel inviting. Food was very good though. What a lovely unpretentious and cosy restaurant. Tasty skewers and salad and delicious dumplings. 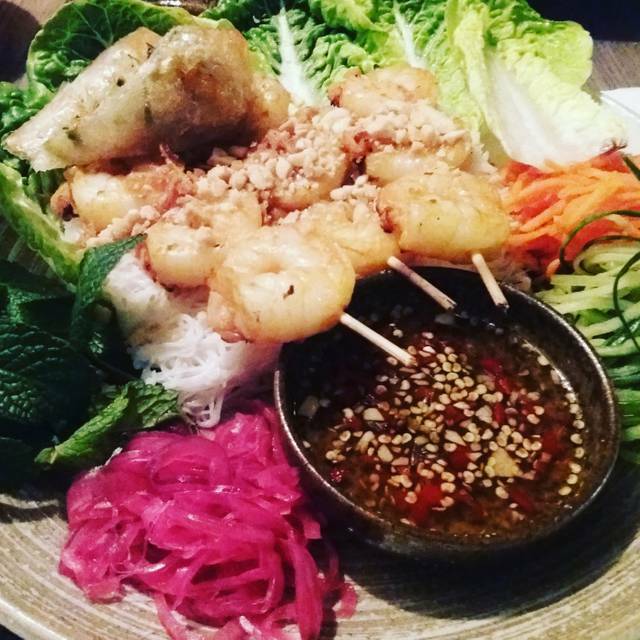 Great Vietnamese Cuisine in a lovely relaxed setting. Great food and at a very good value. Whenever I go it never let's me down. Great food, great drinks, great service! One of our favorite restaurants n London! Great little spot in Notting Hill. My family of 5 was tired and hungry after a long day of sightseeing and this restaurant was welcoming and the food very good. A very nice way to end our day. Food was very good - well cooked and really well spiced. No criticisms beyond the trivial - we will go back. Food here is excellent. The drinks were a bit strange and took a long time to arrive, but the food is outstanding. Go for the food! Excellent food for value. The sauce being similar made it a bit mundane, but delicious and everything seems to be a healthy choice. The atmosphere is great, however the food (Pho) could be more tasty, it was a bit disappointing! Great armosphere very friendly and attentive staff super food It’s the best we’ve had outside of Vietnam! 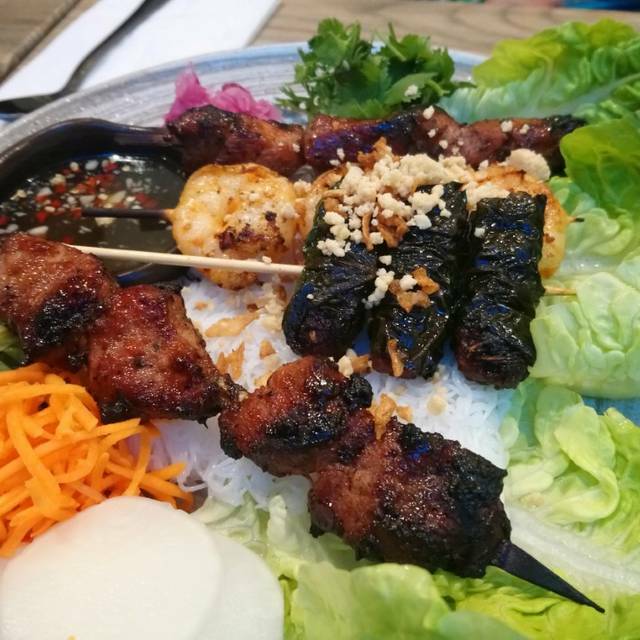 Delicious pho, crispy chicken wings, crispy lacey pancakes and melt in the mouth falling off the bone beef ribs, bbq chicken skewers and beef in nettle leaves to name but a few of their dishes. Great place for a relaxing, laid back meal. Really love this place. The food and cocktails are really tasty and it’s got a a really cosy feel to it. Can see this becoming my regular hangout. Cute and intimate atmosphere, nice staff, good food and excellent value. Very good food, and choices for vegans. Would recommend the grilled aubergine! Warm cosy uplifting modern vibe. Staff are warm and professional . Food is amazing. As good as the best in Vietnam! Great for gluten and dairy free . Great food - the pho was large, delicious and good value. Restaurant was great, the food was delicious and took us straight back to our trip to Vietnam. The beef skewers were incredible. Perfect for a Friday night dinner with friends, family or date night. Only criticism, they don't have a coat hook - it was a freezing cold day so everyone had bulky coats on which made it difficult. Other than that amazing. The beef in betal leaves came almost burned, which is not supposed to be like this if it were cooked properly. The pork shoulder was very strongly flavoured and overcooked (also burned, see photo), the texture became tough and the moisture all gone. Also, the "King" prawns were in every sense of the word a cheat as the small sizes suggest these are "Tiger" prawns or anything but Kings; they were well prepared though. Two other starter dishes (chicken wings and wontons) we had were good and proper, but all in all the food came just overly flavoured which is not quite what I've extensively experienced as regards authentic Vietnamese cuisines. There's room for improvement. Amazing food, great staff and lovely setting. Will be back again! Really cool decor, great food, great value. Had the banh xeo (crispy crepe) and it was amazing. Vietnamese coffee was really nice, too. Also had the shrimp pho, also really good. Fab as always! Come here all the time and it’s always a pleasure. Great food and great atmosphere. Shame no dumplings on menu though-they are my favourite!! No one greeted us when we walked in. Food took 40 minutes to arrive - starter and main at same time!! However food was fresh and delicious and reasonably priced. It was my 1st time at MAM .The food was delicious ,service attentive and all round a lovely atmosphere .Very good value for money and varied menu .I am gluten free and lots of options .I am going back very soon . Wonderful- as always! Can't stay away since we discovered it. Best Prawn Pho soup in West London, and a serious contender for the entire city! Magical cocktails and fabulous staff too.